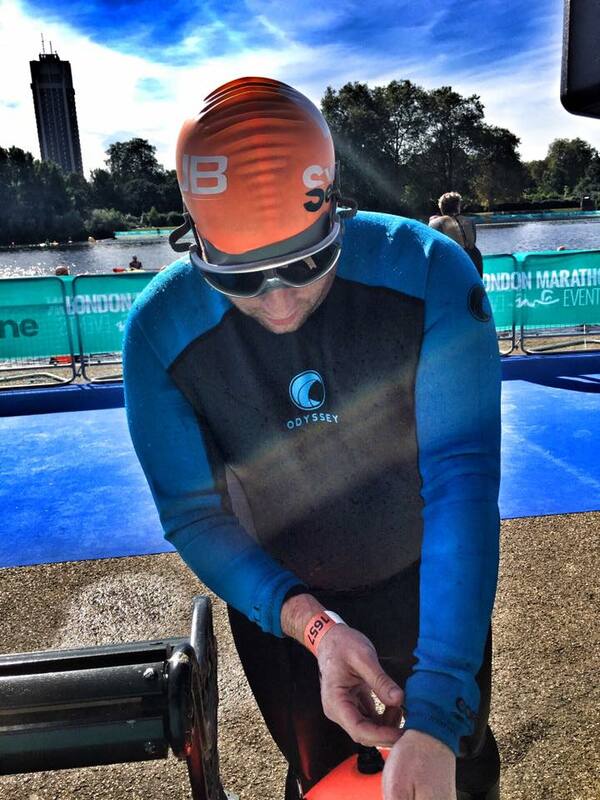 planitgreen’s Marketing Communications Manager, Sam Saunders took the plunge last weekend, taking part in a 1 mile open water swim in the Serpentine Lake, Hyde Park. This was done as Sam’s personal contribution to the business’ £10,000 ‘giving back’ initiative for Starlight Children’s Foundation. Starlight grants once-in-a-lifetime wishes for seriously and terminally ill children, restoring the magic and fun of childhood and giving the whole family happy memories to share, whatever the future holds. They also create entertainment in every hospital and hospice throughout the UK. This enables sick children to go to Starlight parties, laugh their way through pantomimes, enjoy Starlight Escapes, and make use of Starlight Fun Centres and Distraction Boxes. We wanted to do something extra special during 2016, and planitgreen have pledged to raise £10,000 for the children’s charity through on the box donations for every planitgreen toner sold or used within our customers’ devices, along with a number of fundraising events and sporting activities. My personal goal was to try and raise donations through a sporting challenge, and I stumbled across an event called Swim Serpentine, a mass participation, 1-mile open water swim in Hyde Park’s famous Serpentine. With only 7 weeks training and no previous open water experience, I knew this would be a challenge, but plunging into the so called ‘warm’ 18˚c waters in the middle of Central London was a huge shock to the system. The wave started at midday and the murky waters were turned white with the splashing of over 400 of the day’s 4,500 swimmers, all fighting for space and that optimum racing line. Once acclimatised to being in close proximity to so many hands and feet, it was face down and swim, swim, swim. In all the excitement and my inexperience of an open water start, when I reached the halfway stage, I had managed to clock up an extra 200 metres by not taking the straightest line. A quick look at the time had me at 22min 42sec, so still on course for a sub 45min finish. I rounded the buoys and upped my pace along the back straight, then twang…Cramp in my left leg! I flipped onto my back and stretched out as much as I could while continuing to swim. As soon as I thought that was sorted, the other leg went too! After a mix of stretching and curling up in a ball, I powered on using my arms for the majority of the section until the final turn. My 45min goal had gone, at 45min 24sec with 400 metres to go, I turned into the final straight, with every part of my body wanting to give up, but with the crowds cheering me on and the finishing line in sight, I could only think of my 2 year old reciting Dory’s motivational chant of “Just keep swimming, just keep swimming” and I did just that, swimming through the pain and crossing the line in 55min 45 sec. With my legs and arms completely useless, I mounted the pontoon like Shamu at the infamous SeaWorld and made my way to be greeted by my supporting family and pick up my finishers medal. While I was swimming, many more donations came in and as it stands, I have raised over £500. Thank you to all who have sponsored and supported me, it’s been a real challenge and I look forward to going back to beat this years’ time.